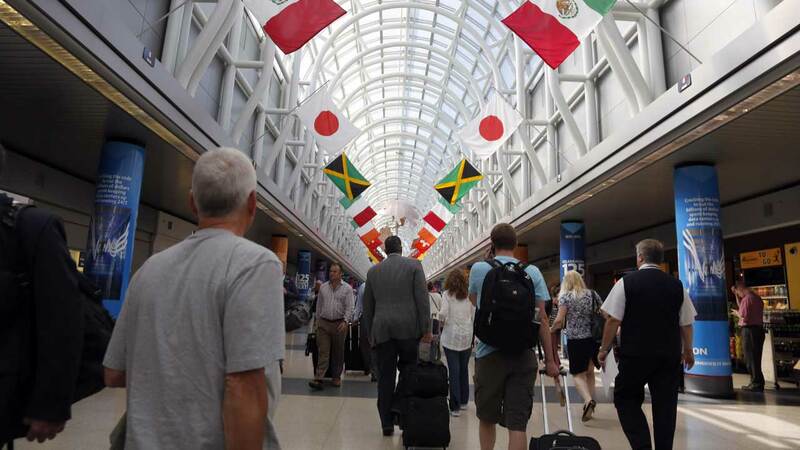 CHICAGO -- High winds closed two of three arrival runways Wednesday morning at O'Hare International Airport's, causing dozens of delays. Federal Aviation Administration officials said the runways reopened around 11 a.m. Wednesday. According to the tracking website FlightAware.com, more than 270 flights in and out of O'Hare were canceled by midday Wednesday. High winds also brought down some tree branches and tree limbs in north suburban Evanston. At least one car was damaged when a falling tree limb smashed its rear windshield. Copyright © 2019 WJRT-TV. All Rights Reserved.